Info: The longest ep in the world..around 71 minutes! Besides the 3 studio tracks, it contains almost the entire gig from the Athens Gagarin venue as bonus. Only 3 songs are missing: ”Well of Souls”, ”Sorcerer’s Pledge” and ”Embracing the Styx”. 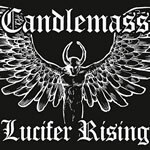 LUCIFER RISING was the first song I wrote for the new album. Got it ready sometimes in december 2007. Inspired by the Kenneth Anger movie (saw it on dvd now, so much better copy than in the early 80’s when I first saw it. But it was crap then and crap now. Hippie/astrology/new age crap!! ), it was my attempt to do a real metal anthem song. 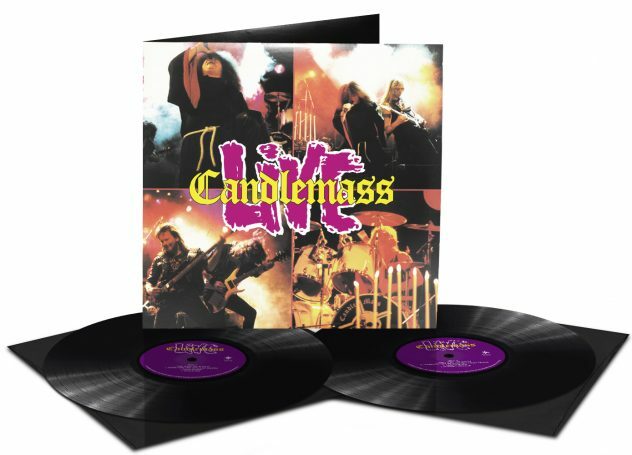 The way they made them in the days of NWOBHM….and not anymore. I had a vague feeling that it might not fit on the album. I wanted the album to be heavier, so after discussions in the band, we decided to record an ep the way they did it in the 80’s. 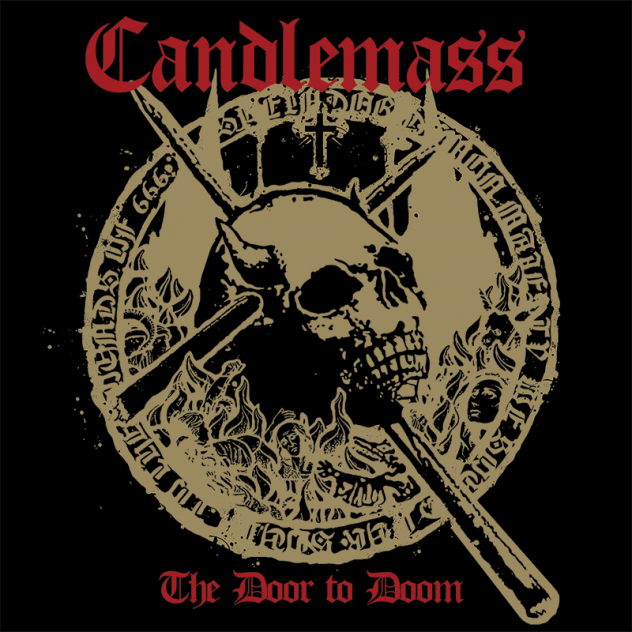 Like an appetizer before the actual album so there would be something out bearing the name Candlemass in 2008. ”White God” was maybe the fourth or fifth song I had ready in january/february, and I knew it didn’t quite had the same qualities as the rest of the stuff so it could be the b-side track with ”Lucifer” on side A. On an ep or on a single release, it is the side A song that counts anyway. 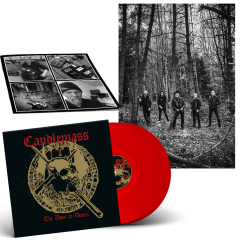 So..a year ago in april 2008, Candlemass entered Polar again. Now moved to Hornsgatan, south side Stockholm. A weekend of recordings with Robert Lowe in town. Singing the ep stuff, but also rehearsing before the upcoming US tour. As usual Rob had no problems doing his vocals on the songs, that now had expanded into three. We added the old ”Demon’s Gate” from ”Epicus”, that we did live in the studio merely for the fun of it. We wanted to do the song on the US tour so we thought why not add it on the ep. Rob sings it like a king!! In the ep negotiations with Nuclear Blast they wanted more stuff than just 3 tracks, so we decided to give them the (almost) entire show from Athens the year before. To make the ep good value for money! The live show was recorded in Athens, Greece at the Gagarin venue on two computers. One at the mixing desk with the raw basic channels, and one that only took up the ambience from the crowd on a stereo track. You see, somebody forgot that the 24 channel recorder that we brough around the entire european tour, should join us to Grecce as well. (think it was locked up in a storage room in Stockholm somewhere). We knew that the Athens show would be great, We have so many cool fans in Greece so it’s always a pleasure to travel to the southern shores to play for an audience that really appreciates (and knows!!) their metal!! So of course we wanted to record it! And again we had to improvise with the 2 computers. But it worked. I just added the two recordings together in the mastring. It doesn’t sound amazing, but you can hear the crowd sing and the full assault of the band on top of their game after a long tour. ”Emperor of the Void” gives me goosebumps every time I hear it! After the weekend at the Polar Studios, we took off for north america and the tour. Chris was in Stockholm mixing and sent mixfiles over to our computers. 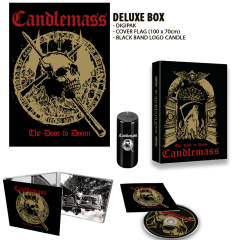 It was just great to receive the stuff around lunch, listen to it before and after the gig, then mail our input to Chris. The next day he re-mixed or began with a new track. In all honesty I must say that the ”Lucifer” mixes could have sounded better, but it was an ep and as an ep it filled its function. Very good sales all over europe. And we certainly did an even better job with the coming Death Magic Doom!